For the fourth straight week, the Gilets Jaunes (Yellow Vest) movement has protested across France, with violence and vandalism erupting once again in Paris and spreading to cities across the country. 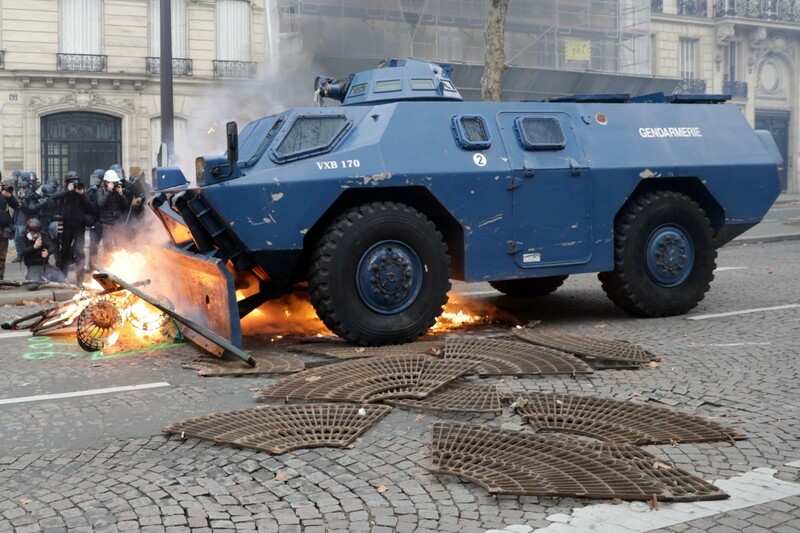 French police mobilised their entire force Saturday to quell the expected violence, deploying armoured vehicles on the streets of the French capital. 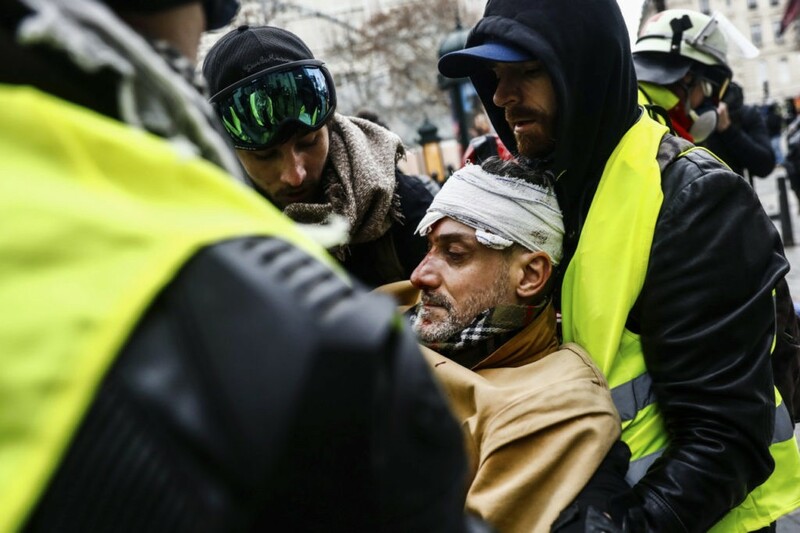 While protests did not turn as intensely violent in Paris as the week before, over 700 Yellow Vest protesters were arrested by police and dozens of people required hospital treatment following clashes, including several riot police officers. 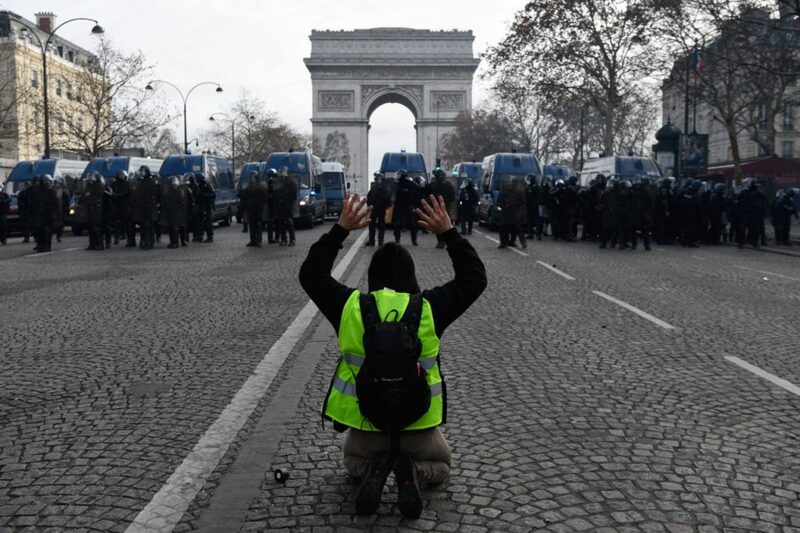 According to Interior Minister Christophe Castaner, the total number of arrested across France reached 1,385, with 974 people being kept in police custody. 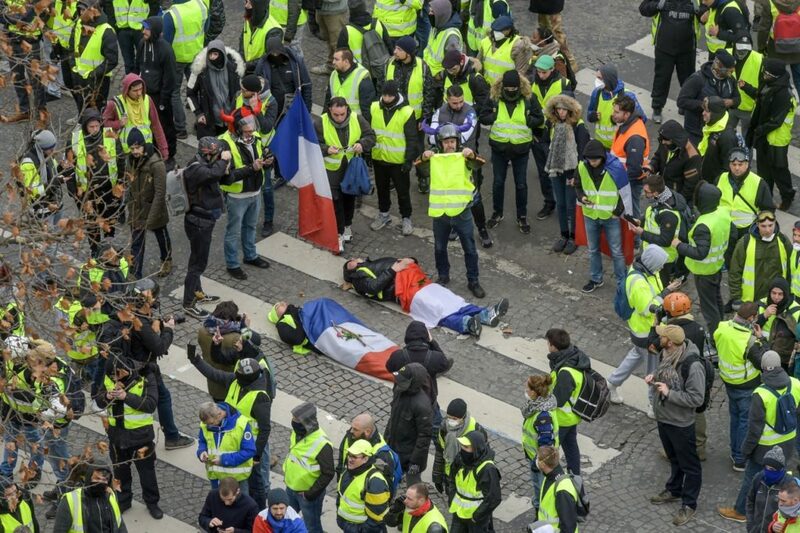 In total, Castaner claimed that 125,000 people had taken part in the Yellow Vest protests across the country. 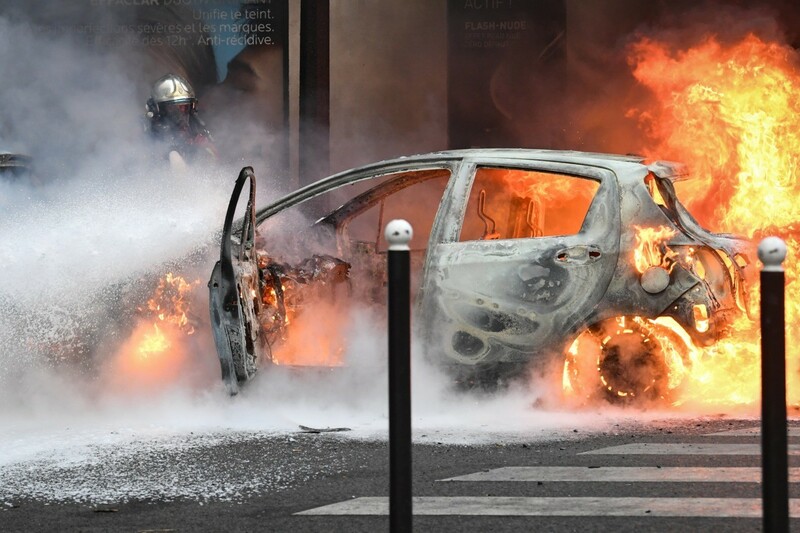 While the violence was not on the scale of the previous protest the week before, several cars were still set on fire in Paris and protestors once again clashed with riot police. One difference this week, in contrast to prior weeks, was an escalation of violence in cities and regions outside of Paris. 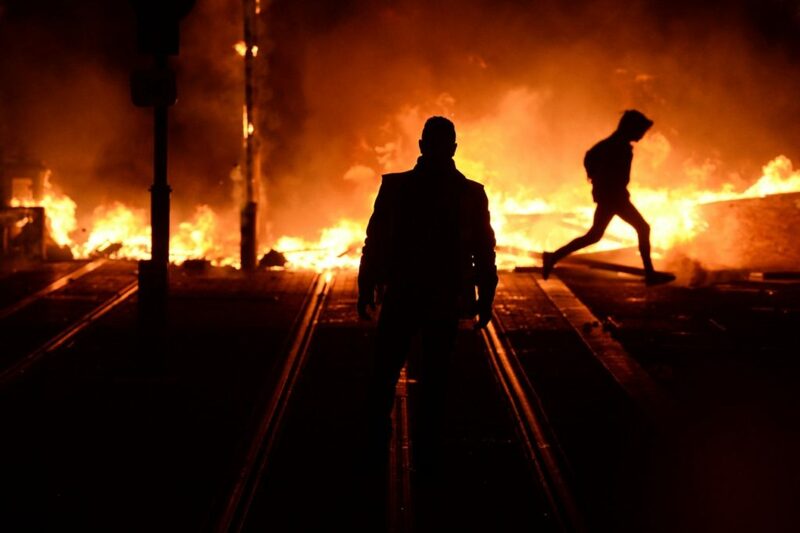 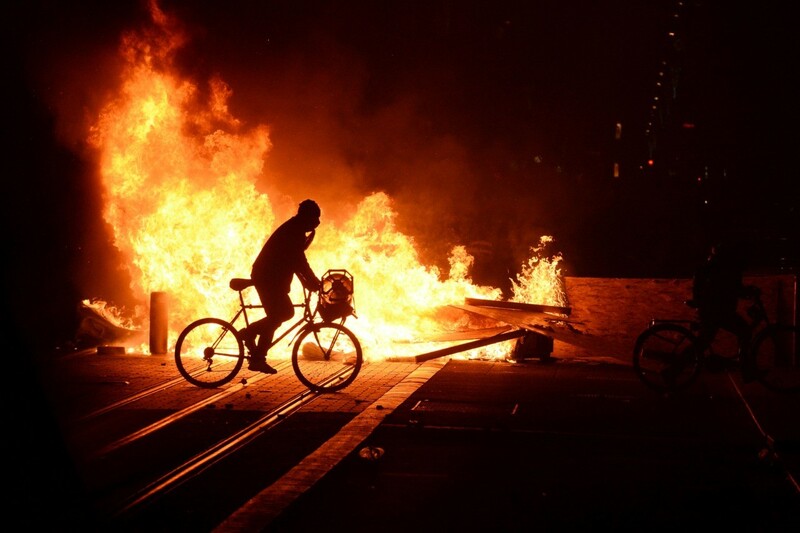 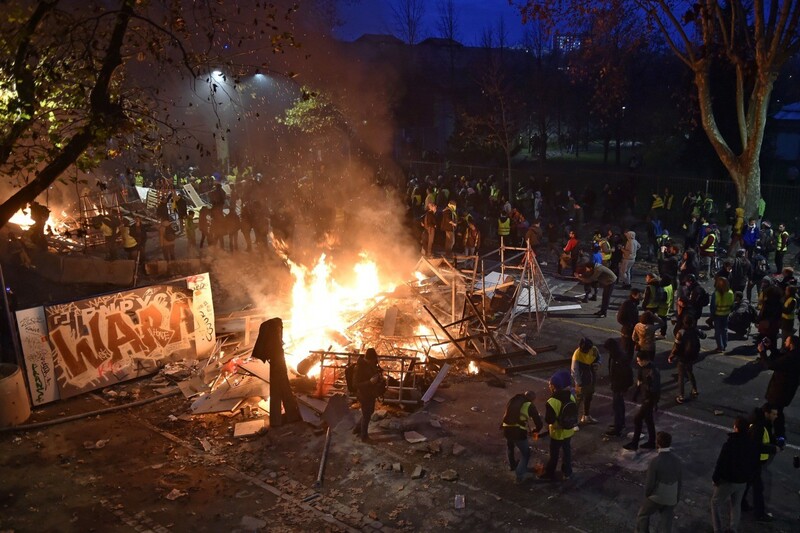 Violent clashes took place between protesters and the authorities, large fires were set, and barricades were erected in Toulouse, while in Bordeaux protestors threw Molotov cocktails at riot police. 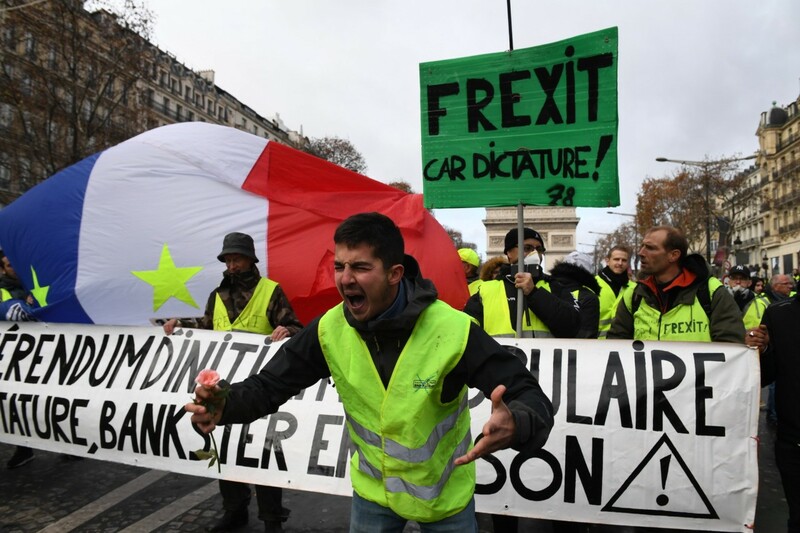 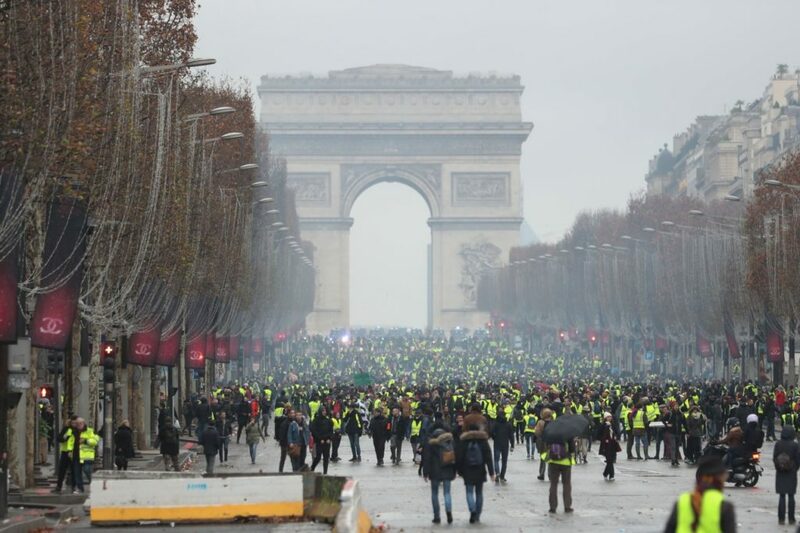 While the Yellow Vest protests began as a reaction to an increase in fuel taxes, the movement has not only become a general protest over taxes and cost of living, but also against globalism, the European Union, and the UN Global Compact for Migration.